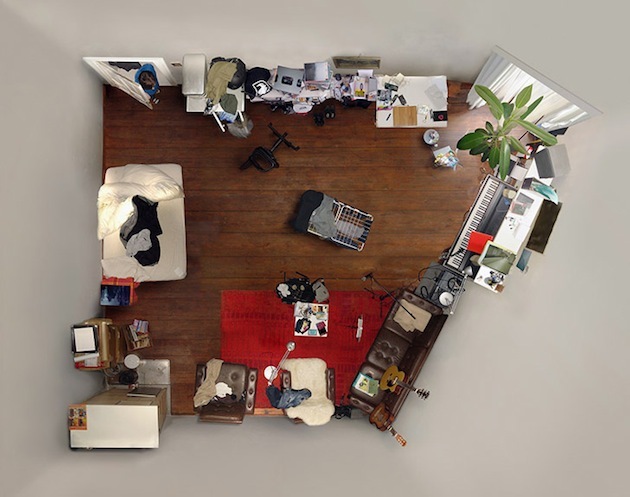 Small spaces are often not fully grasped for what they are when documented from a regular perspective. 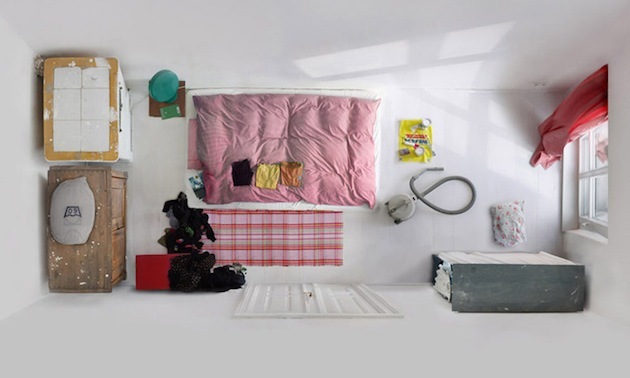 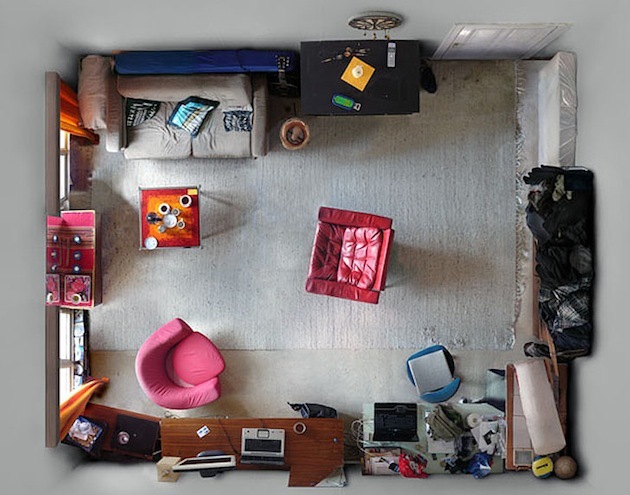 Photographer Menno Aden has captured some of these intensely tiny apartments and rooms in more of a plan view photographic style to really grasp the super small scale. 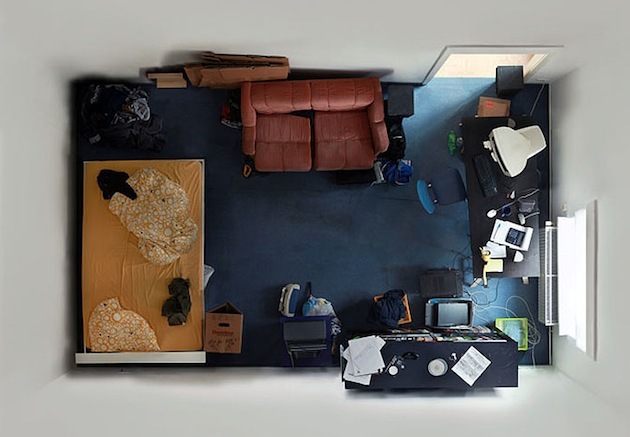 Using a wide angle lens and whatever tall objects that could be stacked upon, the height was able to help capture a floor plan view of the spaces– both tidy and messy. 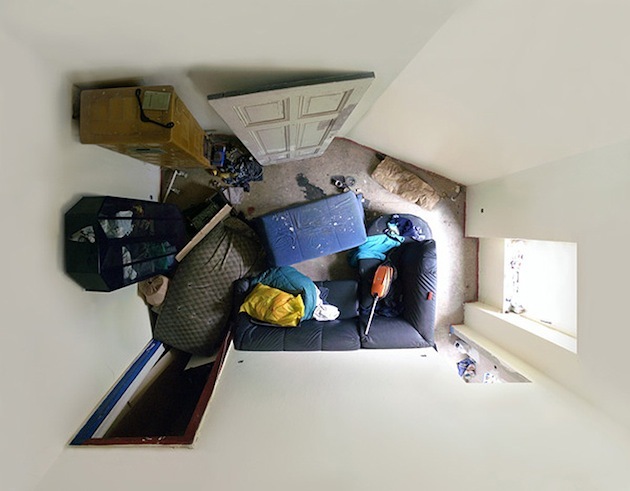 Each room looks like a work of art, and by looking closely– one can pick out many details and pieces that help describe the type of person that dwells within the space. 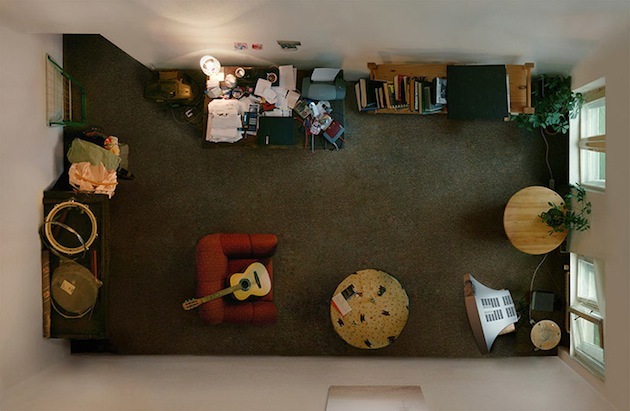 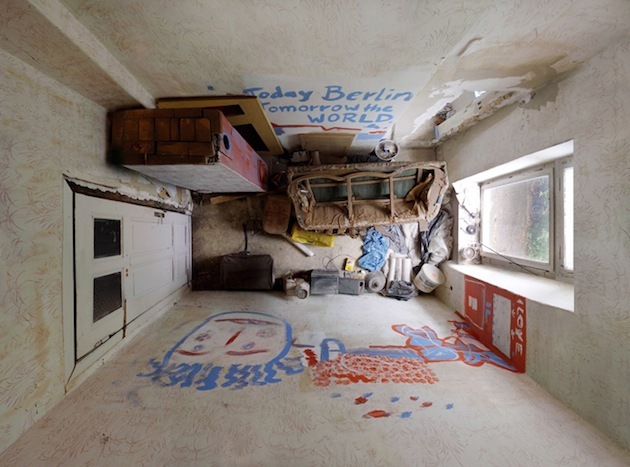 Menno’s photography also spans further than extra small apartments, as his site displays.